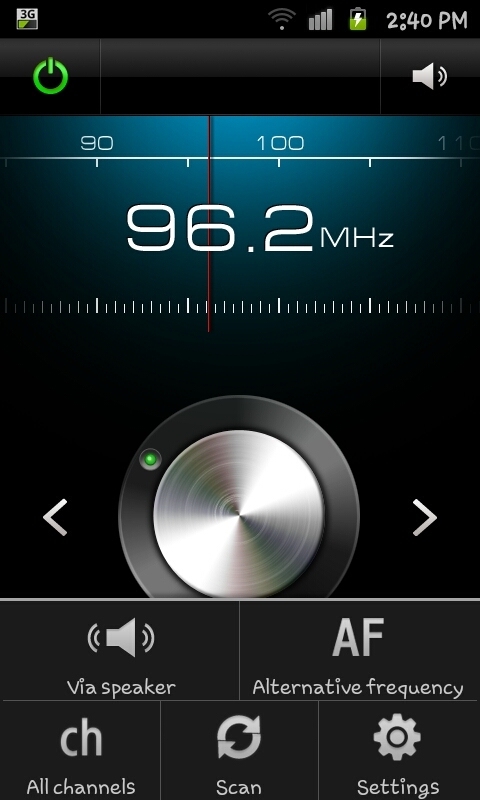 In a recent entry I looked at how to use the FM radio application on the new Samsung Galaxy S2 android powered smartphone. Though lets be honest, we all want to know how we can get more from any and every feature that a phone may have. To get the most from the application you need to click on the phones menu button and you'll notice a menu at the bottom of the application (see the image to the right). 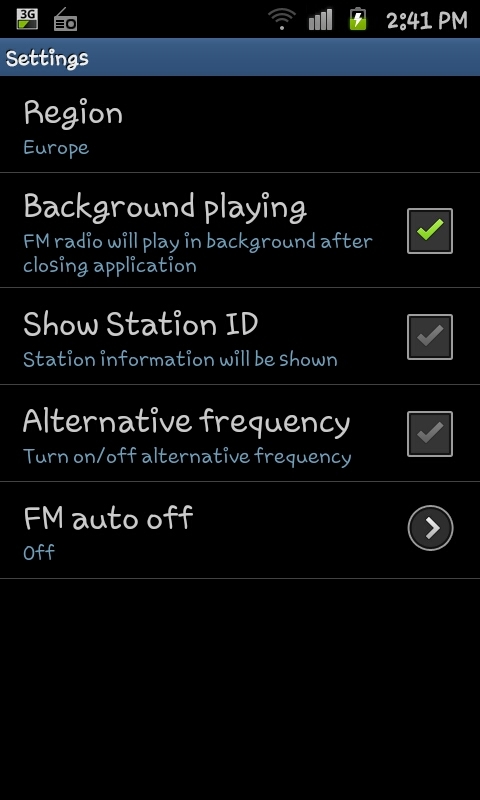 This menu allows you to immediately play the the radio through the phones speaker (clicking "Via Speaker"). Although you will need to keep the headphones in (remember they act as an antennae) the sound will come from the speaker and allow for the phone to act as a louder radio. Beware however this will burn down the battery. If, instead of pressing "via Speaker" you select the "Settings" option you will see a screen like the one to the left. The key options here are "Background playing" which means that the application won't stop when you close the application and "Show station ID" which allows you to easily recognise which station you're listening to. Of course I will advocate also selecting "Alternative frequency" which will try similar frequency's to the one your using if you're reception starts to drop in any particular area. Just a heads up: Selecting "Alternative frequency" made the radio tune in to the "Alternative frequency" (when signal was low) but then before it got the new signal lock it would switch back giving the impression the app was hanging intermittently. Very annoying.